UPDATE: Motor Image Group, distributor of Subaru in 9 Asian countries including the Philippines issued a statement. Read it here (1/24). Subaru is halting all production at its Yajima Factory in Gunma, Japan after the automaker has found out that they may installed a defective part in some of the models produced here. The move may be drastic, but is seen as the carmaker’s first steps in improving their quality assurance after they admitted to falsifying safety-related data last year. 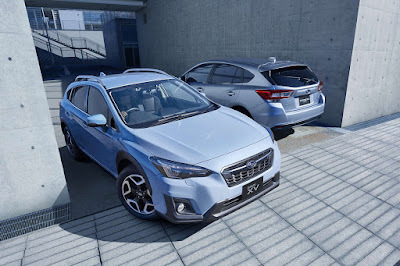 The defect is connected to the electric power steering module and affects the all-new Forester, Subaru XV, and Impreza produced at the plant (both Japanese domestic market and export market variants) produced from December 2018 to January 2019. Although the Legacy, Outback, Levorg, WRX, Subaru BRZ, and Toyota 86 are not covered by the said defective part, since they are produced on the same line, Subaru is stopping production and shipping on safety grounds. Subaru says that the defect can cause the electric power steering (EPS) system to fail causing the steering wheel operation to become heavy. The EPS warning light in the instrument cluster will also turn on. According to the carmaker, they are currently conducting an investigation into the matter. Meanwhile, they have ordered the appropriate replacement parts and production and shipment of vehicles should resume by January 28, 2019. For vehicles that have already been shipped out from Subaru’s manufacturing plant, the carmaker says they will coordinate with the vehicle’s owner through their authorized dealer / distributor to replace the defective EPS module. This is recall is their first major one since having to recall more than 400,000 Subaru models globally due to a valve spring issue.